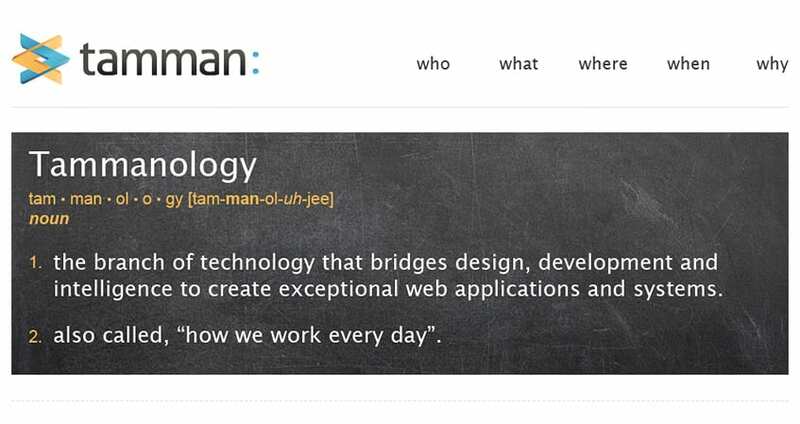 Tamman focuses on understanding problems in complex business systems, creating unique design and technological solutions to those problems, then validating the success through rigorous testing. When the time came to build their brand and make a mark in the tech industry, they worked with Brand Llama. The brand identity for Tamman started with a robust brand questionaire that helps gain consensus within company leadership, and builds a solid foundation for logo exploration. 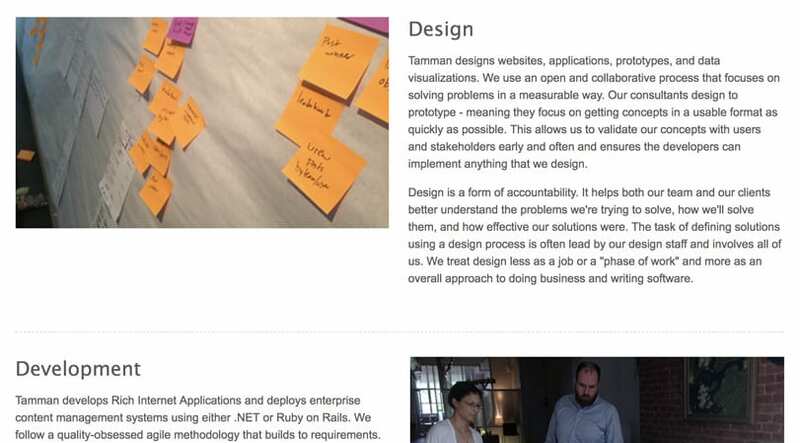 The Tamman identity reflects the technology coding aspects of their expertise, while showing the depth of their approach and its intersection with design disciplines. 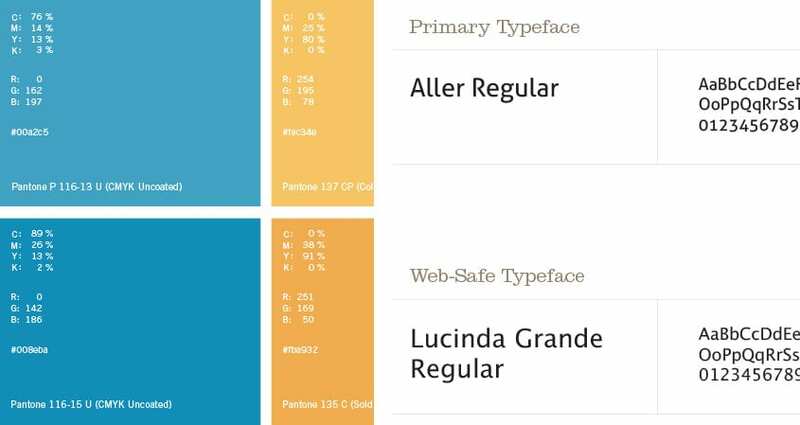 The identity toolkit provides the color scheme, typography, and logo usage standards a growing brand needs to maintain a unified presentation to their target markets. 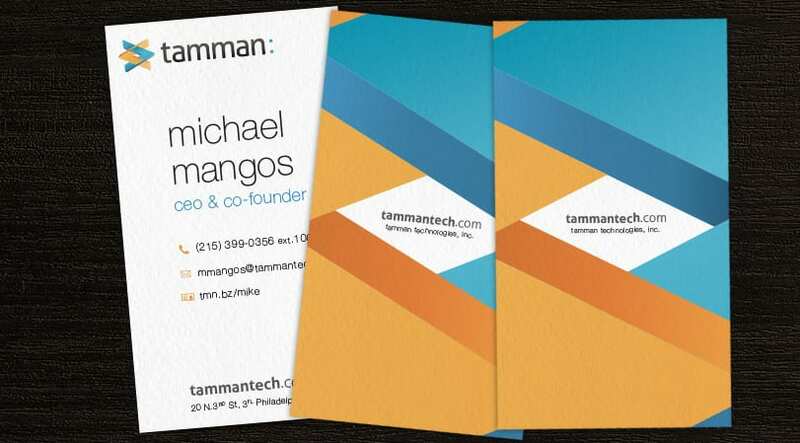 A unique, vertical business card design helps Tamman stand out, with a clean, clear business card front, and a bold tight crop of the identity mark on the back. A simple, clean, and clear website design presents the philosophy of the company and showcases their specific areas of specialization. Informative photography and clear information layouts allows the visitor to focus on the capabilities offered by Tamman.